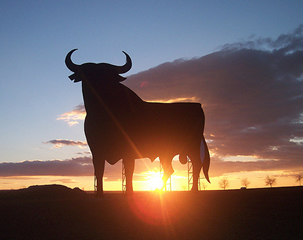 Find the lowest prices for Spanish Language Courses in Spain! Are you looking for spanish language schools in Spain or a spanish summer school in Spain? 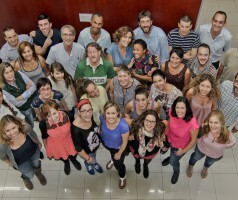 How about study spanish in Spain or language courses for adults in Spain? Whatever type of spanish course you are looking for, Languagebookings.com will help you find it—and at the lowest possible price! Browse over many Spanish schools in many locations in Spain until you find the spanish course and school that is right for you. We make it easy to find discount prices at the most popular schools in Spain and we provide detailed school information, photos, videos and students reviews for a great variety of Spanish schools in Spain. Choose Languagebookings.com for all your courses reservations, and see why more and more students are choosing us to study spanish language in Spain! People who Study Spanish in Spain have fallen in love not only with the beauty of the language but also of the country. When you Study Spanish in Spain, you will be exposed to the rich culture that this European country is famous for. Spain is a diverse country with a good balance between urban development and historical beauty. If you decide to Study Spanish in Spain, you will get to see the things which is country is famous for such as the Moorish palaces, the ruins of the castles, the Roman ruins, Gothic cathedrals, and more. Modern architecture is also one of the things that entice people to Study Spanish in Spain. A person who decides to Study Spanish in Spain will also discover the unique cultural heritage of the country. In the earliest times, Spain is divided separate kingdoms which lived by their own dialect and way of life. Now, these regions united to form a country that will be looked up to as the pioneer of European expeditions that opened up the Eastern and the Western world to each other. Spain is also famous for its beaches that are found in Malaga, Almeria and in some parts of Huelva. Those who Study Spanish in Spain that are also fond of spending the weekend in nice resort towns will have fun staying at the lush yet affordable beach accommodations at the Costa de la Luz as well as well as at the Costa del Sol. You can also feast your eyes with the unique horizon formed during sunset and relax in the cozy bars that lines up the beach at night. Also, when you Study Spanish in Spain, you will witness the architecture for which the country is famous for. Dazzling buildings and establishments can be found in Salamanca, Granada, Toledo, and at the capital of the country, Madrid. Madrid is also home to the masterpieces of renowned architects like Picasso and Gaudi. A perk for those who Study Spanish in Spain is the opportunity to stay at these lavish architectural wonders. Spain is also famous for its beautiful countryside. If you are the type who enjoys outdoor recreations more, then this country is a good destination for trekking and wildlife trips. While you Study Spanish in Spain, you can spend the weekends in the Aragon area where the good trekking paths are. You can also try skiing in Andalucía where the Sierra Nevada mountain range is located. If you are interested in some archeology, you can see the cave paintings in Baza and Gaudix. To make your experience more interesting, accommodations are also offered in these caves. When you decide to Study Spanish in Spain, you are giving yourself an opportunity to expand your vocabulary and knowledge. But more than that, you expose yourself to another culture where you are immersing with the native beauty of the country. Experiencing the wonders of a place is what makes a trip memorable. If you Study Spanish in Spain, you will go home with a second language and lots of stories to tell. 100% guaranteed, that you will pay the lowest price for Spanish courses. We offer you the lowest possible course rates - you never pay more than if you booked directly with the school itself or anywhere else. Besides, our service is free. We do not charge any booking fees. It's very unlikely that something will go wrong with your booking once confirmed by the Spanish language schools. In fact we're so confident, that if you don't have your course place at the selected school, we'll credit your account with your full deposit AND find another possible alternative for you.